I booked the event in advance, using the website. It turns out, you can buy party bags for your event at a cost of £5 per head. I can't comment on the quality, as I didn't see any, but I felt this was fairly astronomical for what was included. The contents are listed as; a yo yo, medal, a pencil set, pencils, a mask and stickers. Also on the list is a certificate, but you get that anyway, so it's a bit misleading. I made my own party bags, containing; 2 stationery items, a toy, sweets, a glow stick and a balloon for under £2 a head. I also shopped around online and found some great deals. For example, Party Bags and Supplies offer a huge range of different themed party bags starting from £1. A Minions bag, for example, has 5 different items and costs just £2.65! Other than that, you just book as normal at £18 per child, for an hour on the course. Some venues offer an hour's use of a covered area for a further £20, but we took our chances with the weather, which turned out to be lovely. The course was great. Such a fantastic location and a really good opportunity for youngsters to do something different entirely independently, whilst not being at any risk. 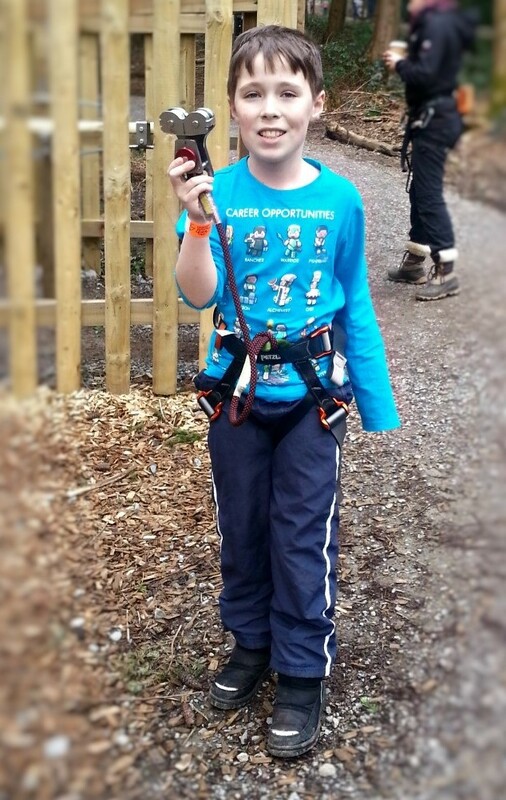 The children are tethered to a cable that runs the length of the course, culminating in a zip wire decent, which was particularly appealing! Before they begin, they have a little safety instruction from a professional, and there are many helpers around, supervising. There was one unfortunate moment, when an assistant went to comfort my son, who had become overwhelmed by the sheer joy of the place and somehow got himself really upset. Her supervisor was clearly unhappy that she had left her post and told her off in front of all the adults and children watching, which was a bit uncomfortable to witness. Overall though, the staff were lovely and keen to help. For a great place to take children, it has a lot of appeal. We didn't hear from them for the whole hour they were up there. 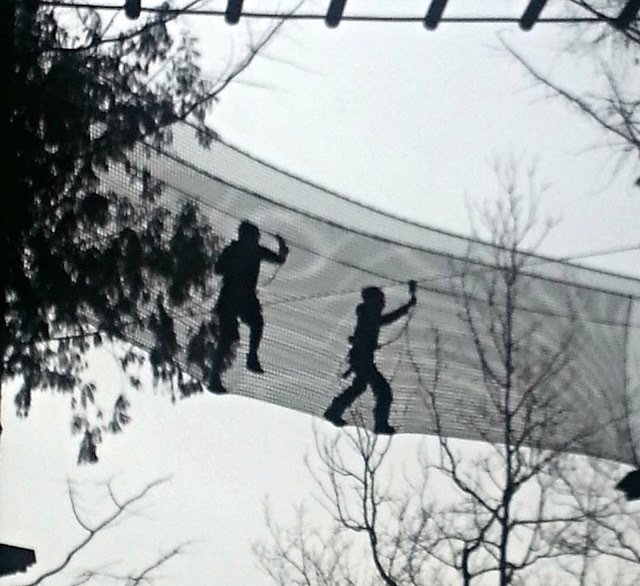 The just had the best time going round and round, tackling all the different bridges and obstacles in the trees. 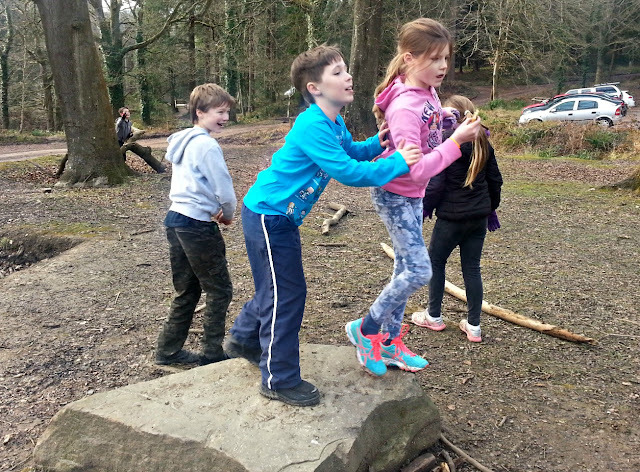 All the children said they had an amazing time and are keen to have their own parties there, which speaks for itself! After their time was up, we found some picnic benches and had a lovely picnic in the woods. This was where I realised it's impossible to wear children out, as they were still hurtling about and exploring! Glad you enjoyed your experience and having done it myself just this weekend I can see how it could be a great birthday treat. 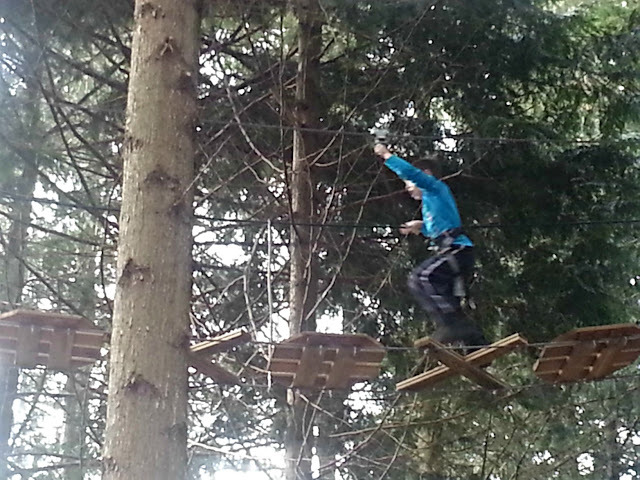 Go Ape is definitely on our "to do" list - I think Ben would love it. My daughter really wants to do this but there isn't one near us and my son isn't big enough to join in yet. The price for party bag is pretty steep but the upsells at such places always are.